When making YouTube videos for your channel, selecting the right tool (software) is one of the most important factors, out of your unique content idea, that affect your channel success. In this article, I am going to share with you 3 best tools (software) to make YouTube videos for your successful channel. These programs are tested carefully by our experts at Elearning Supporter! How-to tutorial video is one of the most popular video contents on this sharing platform. Such kind of videos let you share your knowledge and experiences with your audience effectively, especially when you want to teach about step-by-step software manual or how to use a new tech gadget. ActivePresenter has all necessary tools to create such kind of content painlessly. The program comes a long with a Full HD screen recorder for recording your computer screen with your voice-over, built-in video editing tools and a bunch of annotation tools (shapes, arrows, texts and callouts that can be added to the video). Watch below video to see how it works. For your information, this video was created by ActivePresenter free edition. Our review is available in this article. Record your computer screen in full HD quality with your webcam, audio from your microphone and system sound. Edit captured video or existing video on your computer and export the project into MP4, AVI, MKV or WebM without watermark. Unique features of ActivePresenter include Chroma key, Fade in/out audio, Text to speech, blur moving objects, customize java script, interactions, quizzes and export project into HTML5 in SCORM, xAPI Tin Can. YouTube videos are not limited to only how-to tutorial videos. There are short movies, trailers, funny clips, filming tips and tricks and so many thing more. As a content creator, you may sometimes want to adjust the color of your video clips or add some beautiful filters to polish your final result, that’s when Filmora Video Editor comes in. 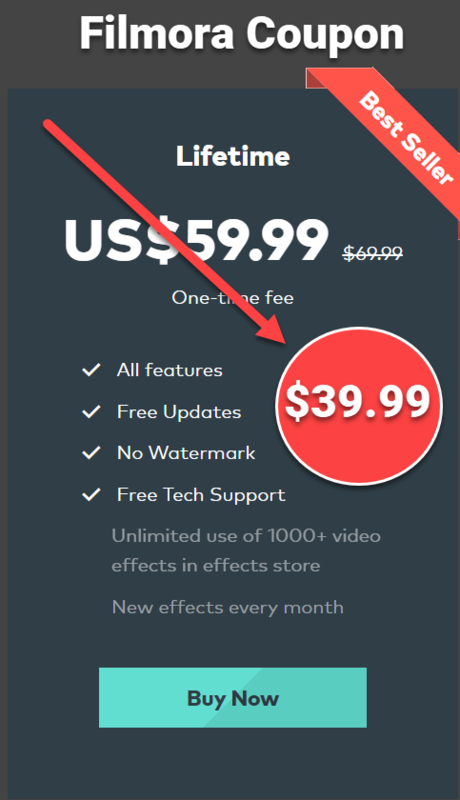 First thing first, this tool is not 100% free to use as it will leave a watermark at the center of your video in free version. You can only use free version to test the program only. Secondly, it is not included either screen recorder or annotation tools like ActivePresenter. However, the advantage of using Filmora Video Editor is its intuitive user interface and very smart workflow that any beginner can learn quickly. Added to that, Filmora has a bunch of special filters, transitions, title templates, free sound library and some advanced editing features such as 4K editing, noise removal an camera shake removal. Read our detail review of Filmora Video Editor in this article to learn more about it. Support 4K editing, camera shake and noise removal, green screen effect, Picture in Picture and many special filters and effects. Packaged with royalty music, sound effects and pre-made templates. Compatible with Windows, Mac and capable of exporting video into various kind of formats. Possible to share directly on YouTube. What if you don’t want either to create how-to tutorial or short movies on your own, but simply record what you are playing on your computer and upload to YouTube or maybe “go live” on YouTube? It’s when you should use OBS Studio, one of the most popular free and open source game recorders in the world at present time. With OBS Studio, you are able to record high FPS games like Mincraft, Couter strike or Pubg and broadcast your game live on YouTube. To learn more about OBS Studio, read this review on our site. Record high fps games and works as a live streaming platform for YouTube, Facebook or Twitch. Take screenshots, add logo or image to your video. Cut out unwanted parts of your recording. Above are our best picks for making YouTube videos. All these programs are free and safe to download. We highly recommend you read our review, download and install the program on your computer, create a complete project to see if it is right for you or not. If you like our article, please share it on your social media. Don’t forget to subscribe to our mailing list to keep you up-to-date with our new posts.